This coming Christmas, we are aiming to bring love and joy to children living in extreme poverty. 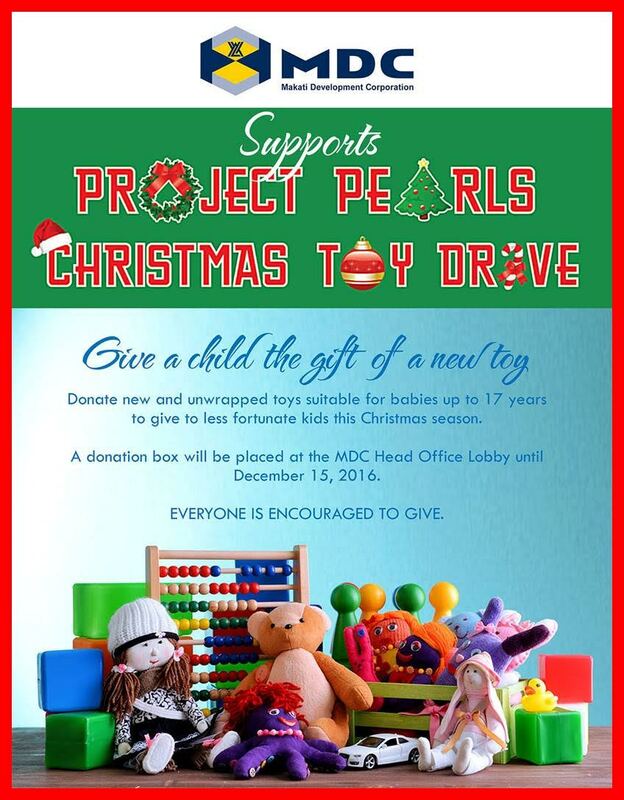 To make this possible, we recently launched a Toy Drive to give Christmas gifts to more than 1,000 children. We are hoping that all of our friends, families, partners and supporters can join us in this project. We have also joined forces with our friends from TOTAL Philippines to bring joy to children in poverty this Christmas season! Thank you TOTAL Philippines! We have also joined forces with our friends from Makati Development Corporation to bring joy to children in poverty this Christmas season! Thank you MDC!